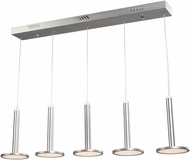 Contemporary Pendant Lighting ~ Best Prices Guaranteed! Contemporary pendant lighting is among the most creative and artistic of all lights, because the concept allows for endless variations in design. Suspended from the ceiling with sturdy materials, each of these fixtures is unique and fascinating. Harmonized with your choice of�Contemporary Floor Lamps,�Contemporary Table Lamps,�Wall Swing Arm Lamps, the right pendant installation can completely transform your surroundings. Select from drum style, bowl shaped, and dome shaped style for your decor. Artistic character and functionality are yours at a bargain price with our selection of light fixtures. 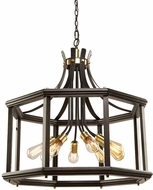 Modern light fixtures are a great way to add a unique touch to an older home. Pendant lighting can be used as a way to brighten up a home in need of some light. They can also add some flair to a space. 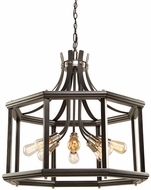 These lights come in a variety of styles and finishes including bronze, silver, and granite. With all of the styles that lighting comes in, customers are sure to find a type to fit their needs. 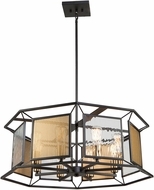 Affordable Lamps offers great sale prices on affordable unique pendant lights. No one can beat the affordable prices on our contemporary pendant lighting and pendant lighting, modern in style.